First, gold is typically weak in the summer. Second, and more important, is the futures market setup. It became worse from August 14 to August 21, 2018. 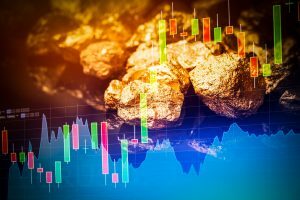 The gold price of $1,165 on August 14, 2018 is supposed to be the gold market bottom of the year because of the rarely seen before futures market positions. Tsaklanos refers to a piece written 2 months ago and reproduced here: “Gold Price: Short Term Bearish, Medium Term Strongly Bullish.” In short, there is a big cup-and-handle formation in the gold market. The bottom of the cup was set in December 2015; the bottom of the handle was set on August 15, 2018. This is a huge consolidation pattern that, most likely, will mark the end of a 7-year bear market. Now is the time to accumulate gold and silver.